- Excellent appearance with metallic silver body. Shoe cover dispanser use to cover your shoe without touching your feet or shoe. Lightweight, small, and portable, Can load 50 covers at one time. 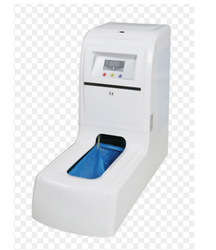 Hospital Ex-Shoes Cover Dispensers Our Automatic Shoe Cover Dispenser covers the user's foot with a sanitary cover to effectively keep the indoor floor clean. 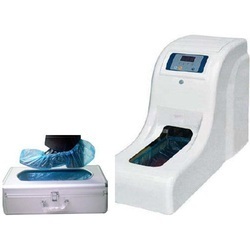 No need to change shoes anymore, also overcomes the problem of manual wearing of shoes covers on foot & avoid carrying any contamination to Clean Room/Sterile areas.